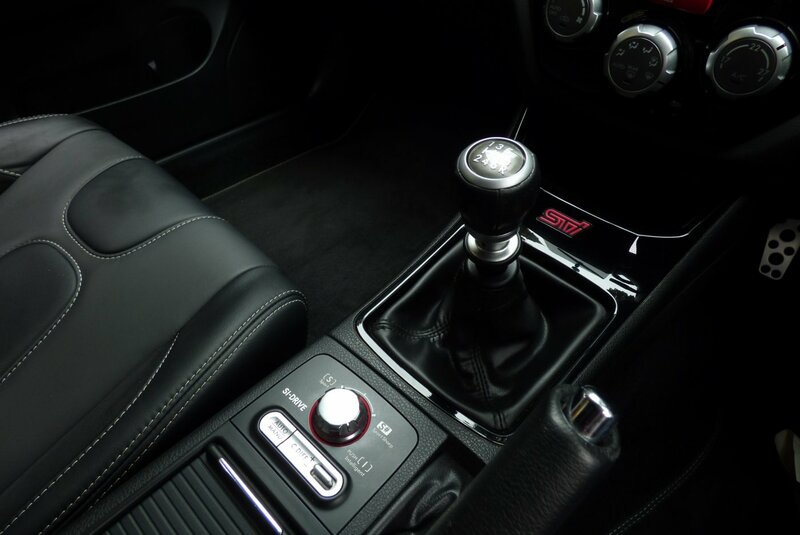 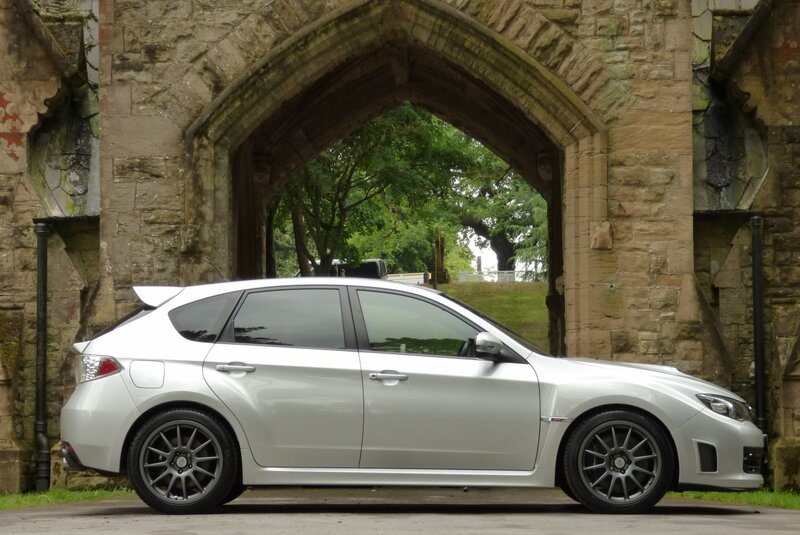 The Third Generation Subaru Impreza Was Offered To The World In The April Of 2007 At The New York Motor Show, With The Infamous Limited Edition CS400 Announced In The May Of 2010. 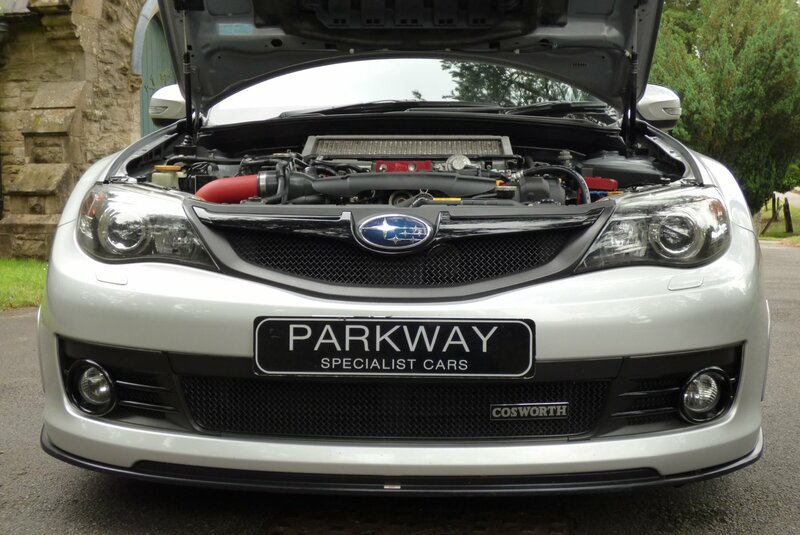 The Subaru Cosworth Was To Be The Fastest Road Going Model Ever Made For The UK, With A Recorded 0-62 In 3.7 Seconds, A Standing Quarter Mile In Only 12.75 Seconds And A Healthy Limited Top Speed Of 155 MPH, Which Was Half A Second Slower On Acceleration Than The Mighty 572 BHP Audi RS6. 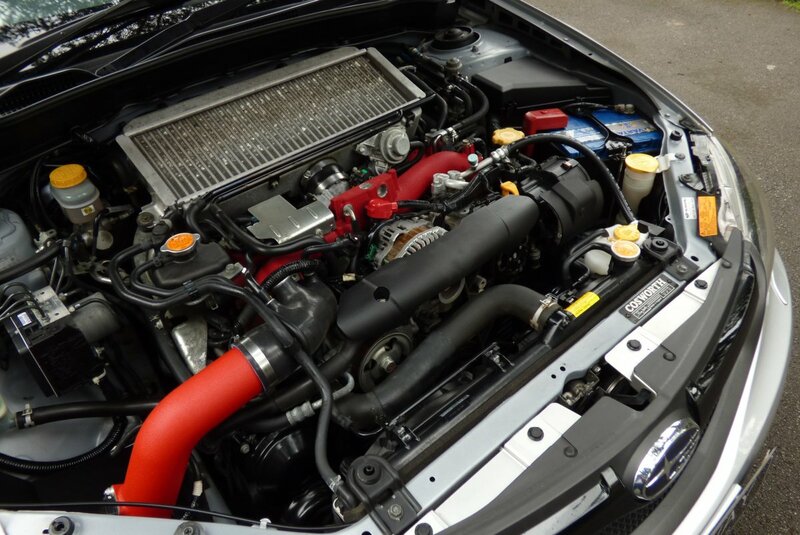 The Cosworth Company Stripped Down The 2.5 Litre Turbo Charged Engine And Upgraded The Engine With New Pistons, Bearings, Con Rods, Gaskets, Head Studs, A Completely Upgraded Turbocharger, Intake System And Exhaust System, Which Gave A Remarkable 400 Brake Horse Power Reading. 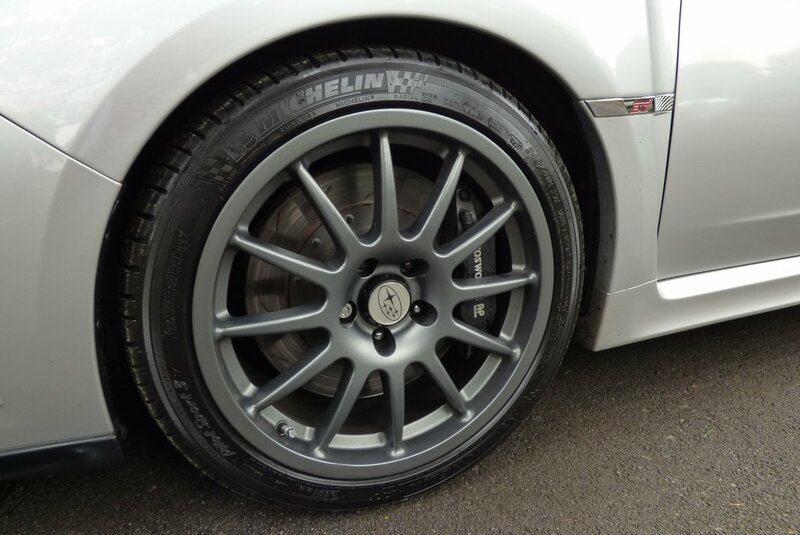 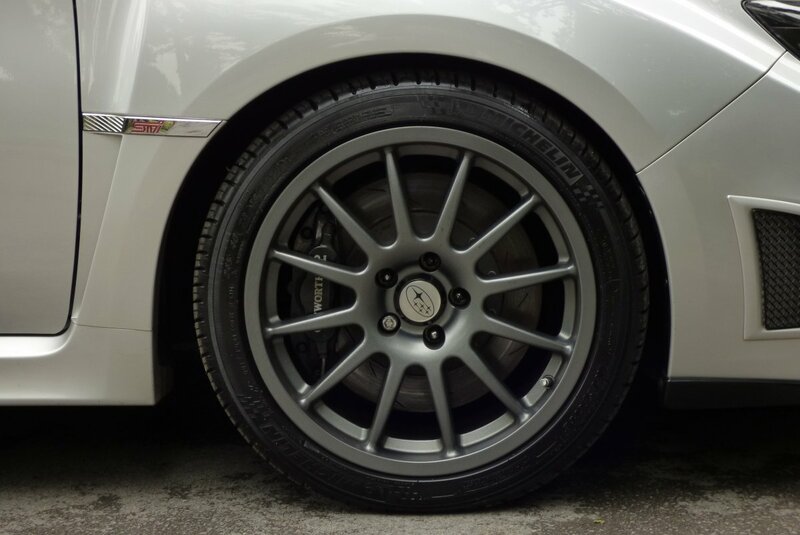 From There They Concentrated On The Cars Handling And Stopping Capabilities With Eibach Springs, Specially Tuned Bilstein Dampers All Round, Improved Chassis Bushings And AP 355mm Ventilated Front Brakes With Six Piston Calipers. 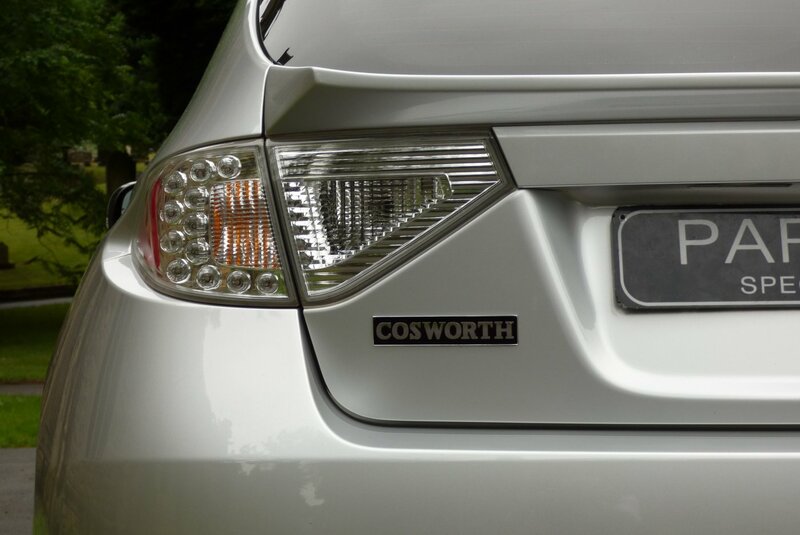 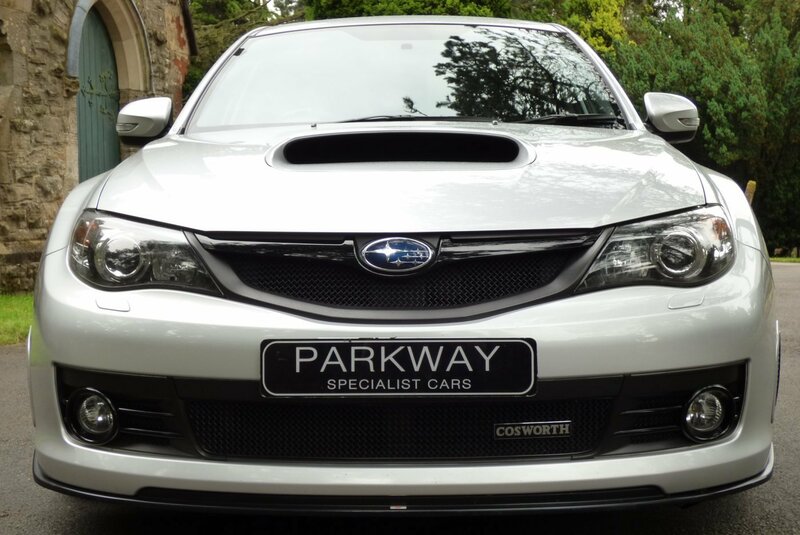 Only A Total Of 75 Cars Had Been Built With This Being Number 52, So From A Future Investment Classic, The Subaru Impreza CS400 Cosworth Is Firmly Classed As A Cult Collectable. 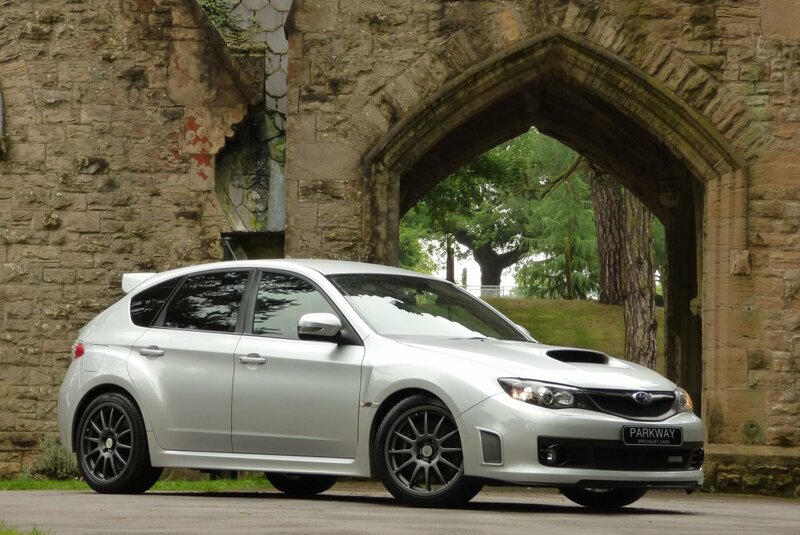 Number "52" Was First Registered In February 2012 With The First Registered Keeper Being Subaru UK Birmingham And Then In The July Of 2012 Was Purchased By A Private Keeper That Kept The Car Until The Present Day. 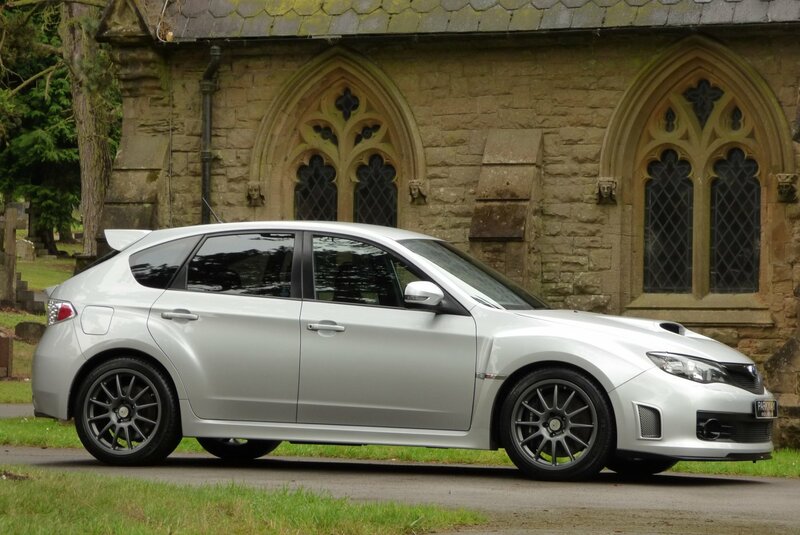 Since This Date In 2012 The Car Has Been Treated To An Extensive Past Historical Service Record With Subaru Bulldog, A Well Known Subaru Main Dealer, With Service Logs Recorded At 822, 6524, 10352, 13007, 20061 & 28100 Miles, Which Will Also Include A Substantial History File. 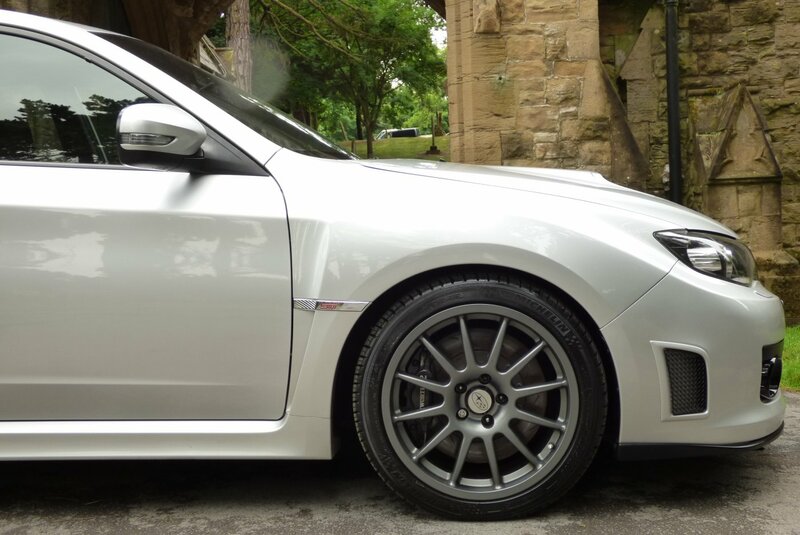 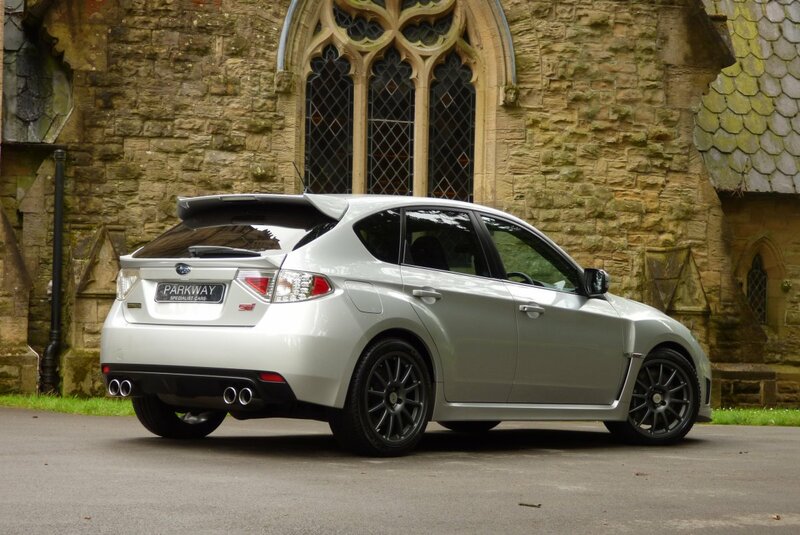 With This Excellent Provenance, We Believe This Example To Be One Of The Best Left To Acquire Now, As Many Others Have Already Been Snapped Up By A Varied Mix Of Enthusiasts Worldwide, So If You Want A Limited Numbered Piece Of Subaru History, Then This May Be Your Last Chance? 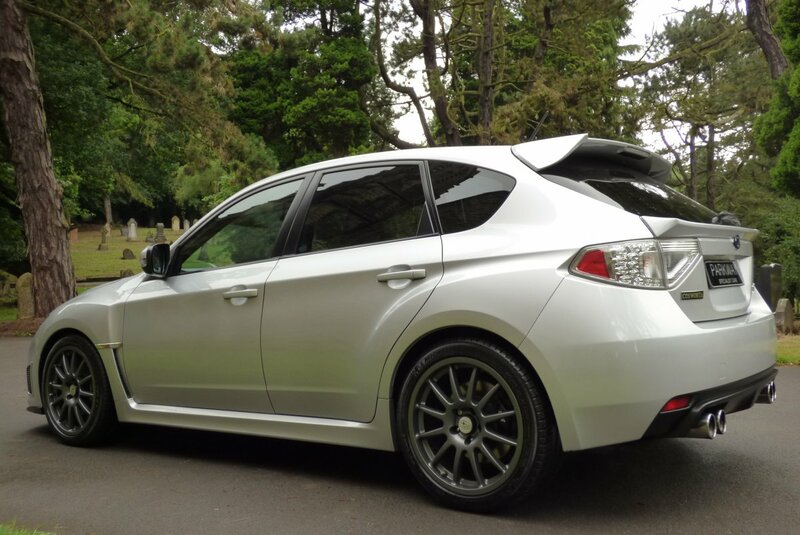 The Last Time We Had Opportunity To Offer A CS400, The Car Was Bought By A Private Collector In France, So We Do Hope That This Car May Stay In The UK, However We Will Be Happy To Offer Assistance To New And Old Clients Around The Globe. 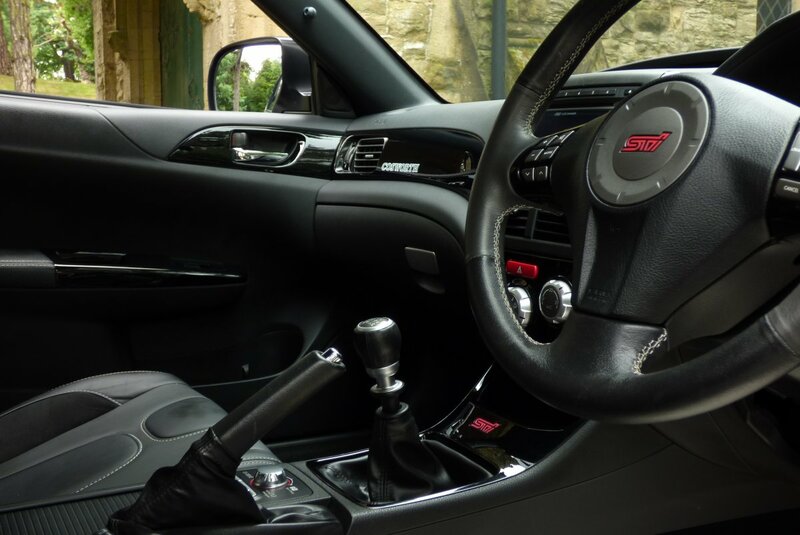 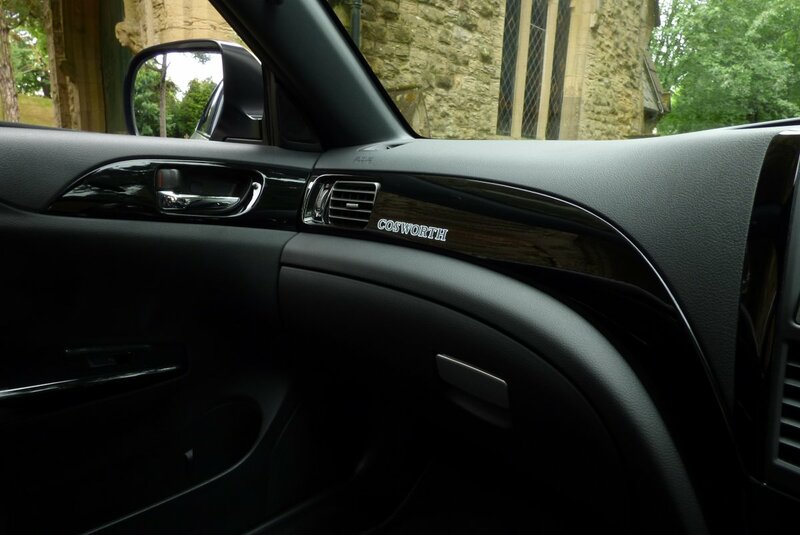 The Interior Of The CS Is A Stunning Blend Of Extreme Comfort With Distinctive Detailing, Which Will Offer A Trilling Place To Be For The Driver And Passengers. 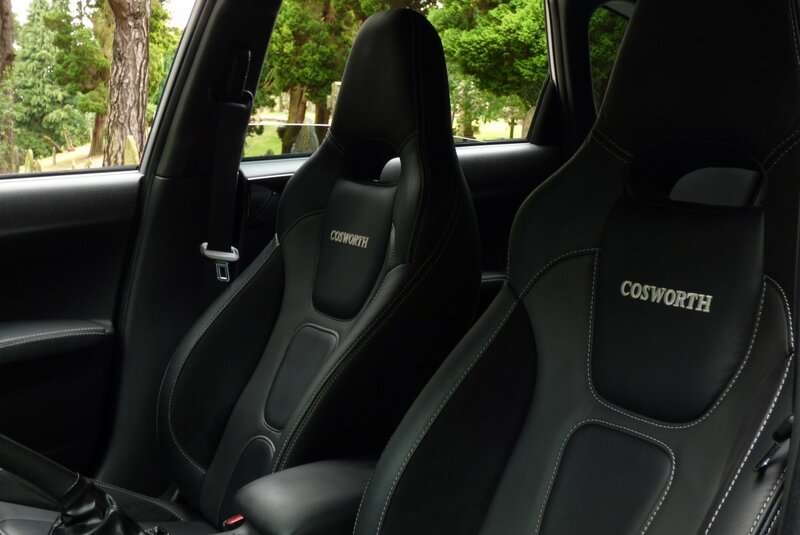 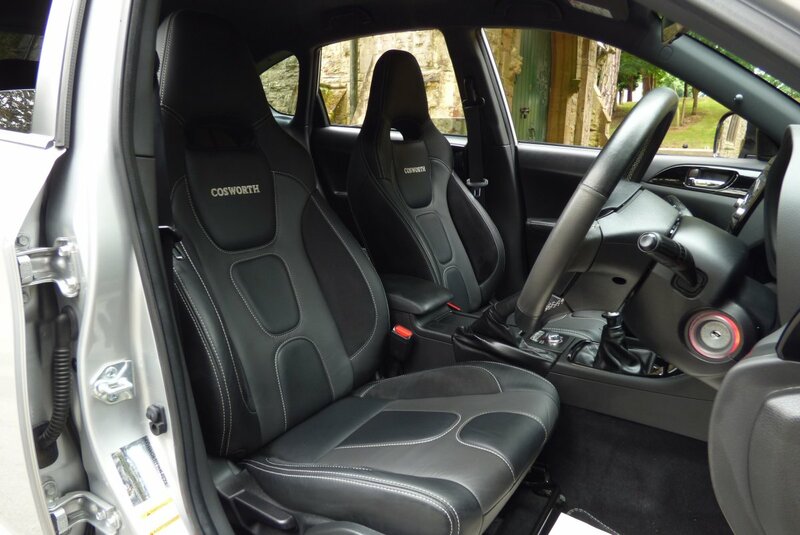 Cosworth Is Embossed On The Half Leather & Suede Skeleton Sport Seats Delicately Detailed With Contrast White Twin Needle Stitchwork, Dark Fabric Roof Lining, Piano Black Interior Inlays Embossed With STi On The Centre Console And Cosworth To The Main Veneer, A Dark Grey Dash And Decorated With The Numbered Limited Edition Cosworth Entry Door Sill Plaques. 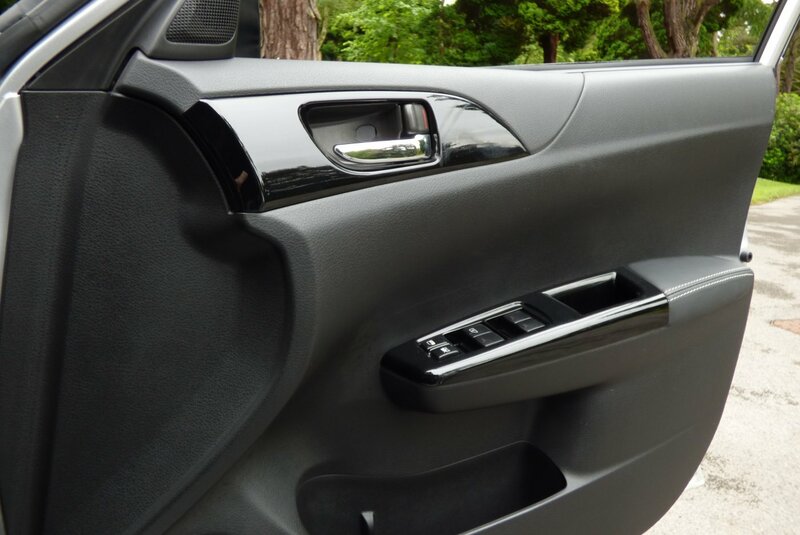 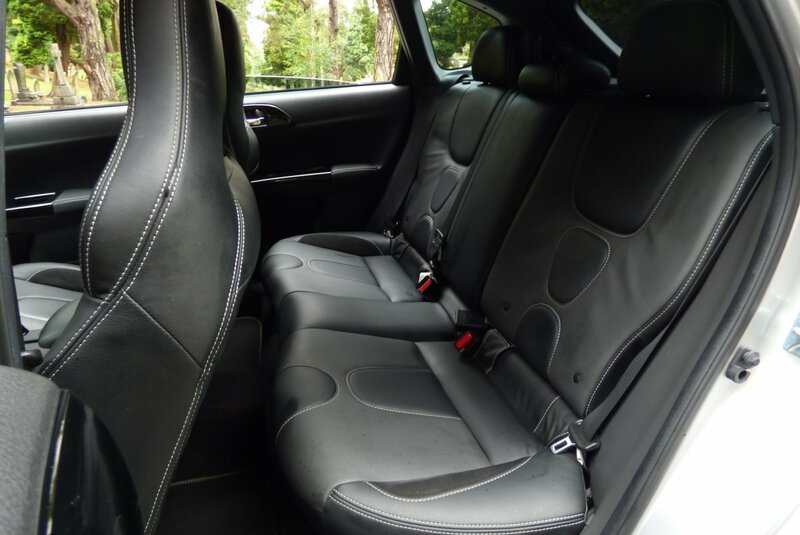 This Dramatic Internal Space Also Benefits From Having World Class Technology, Meaning That Any Journey Is Enjoyable And Of Course Exciting, Time And Time Again. 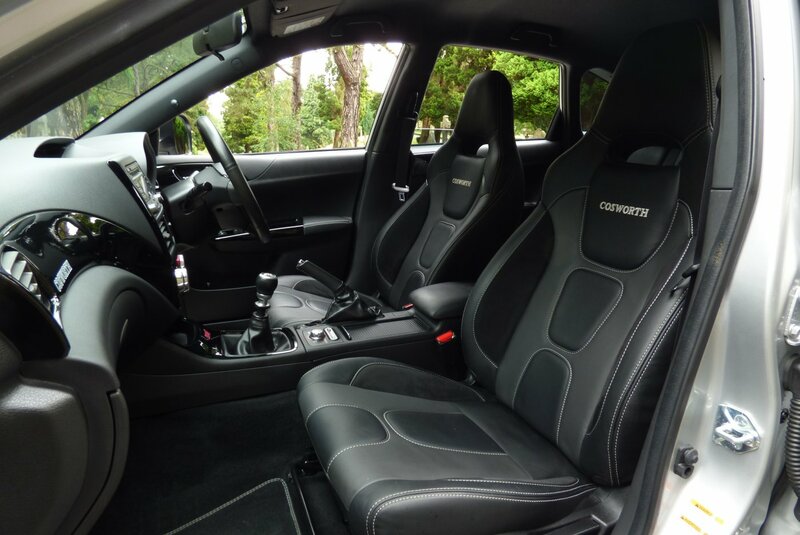 A Spectacular Place To Be. 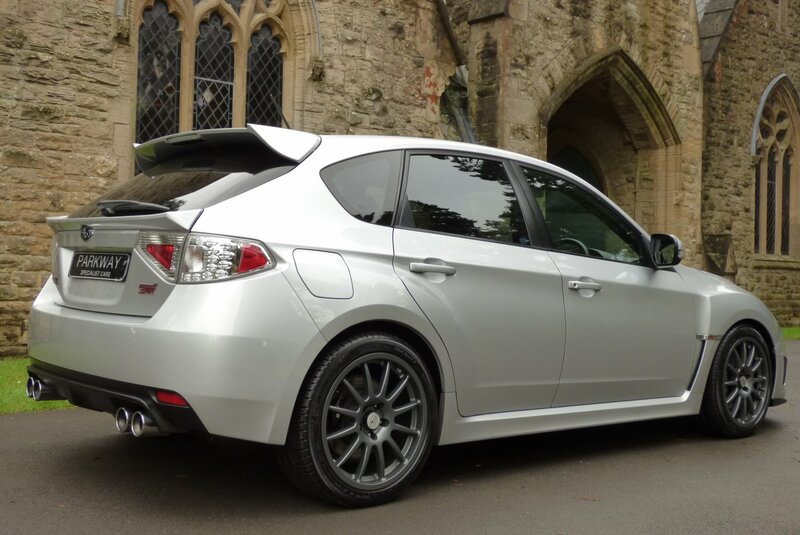 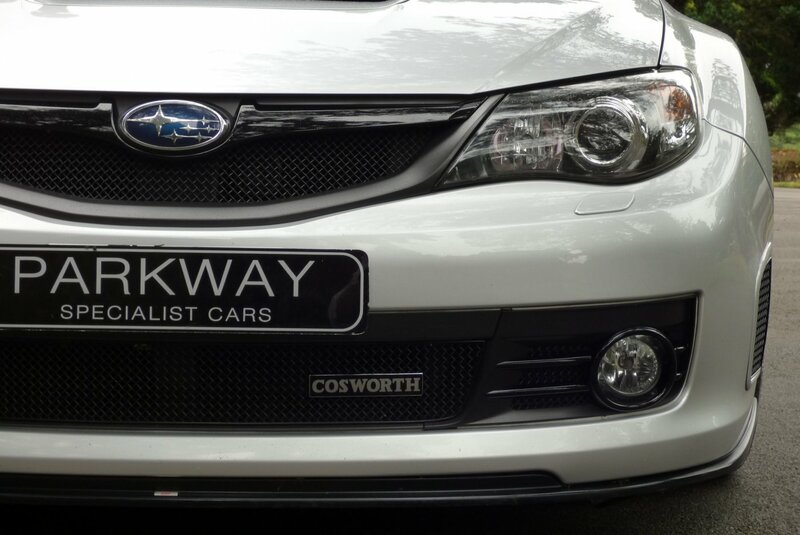 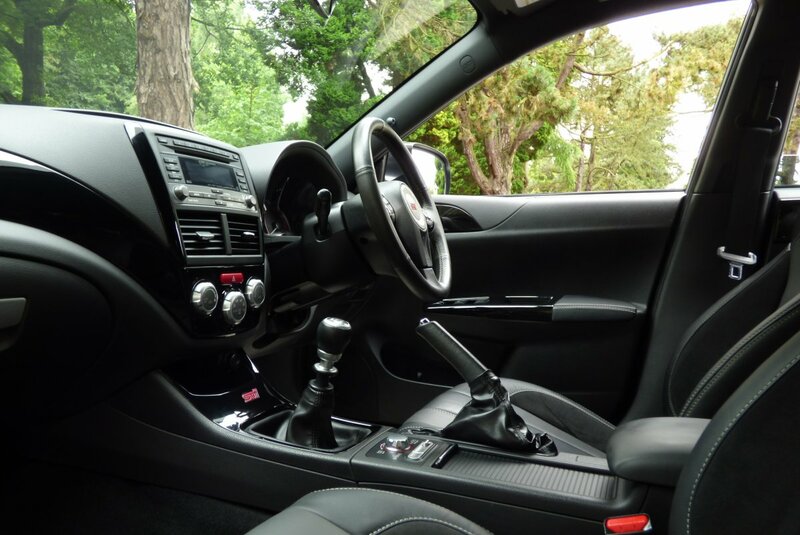 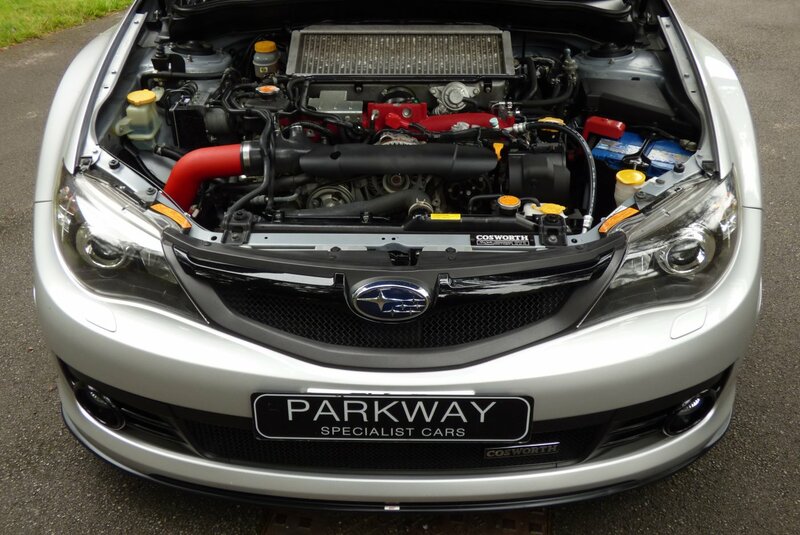 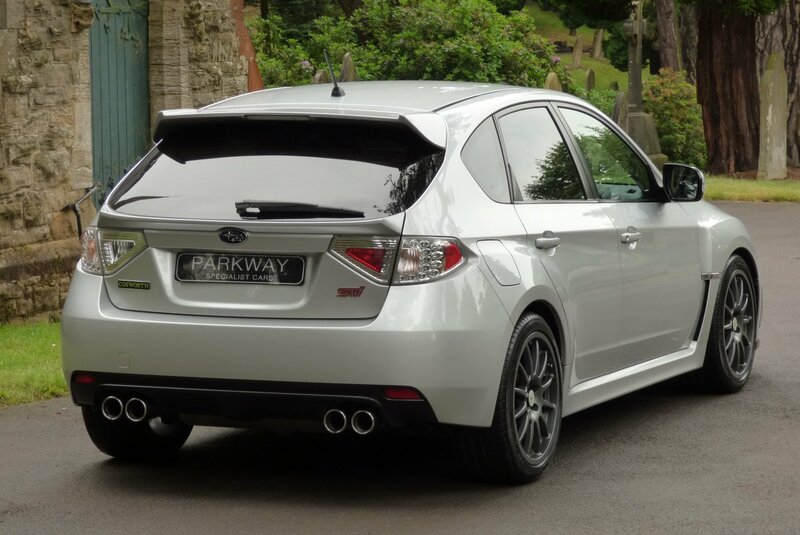 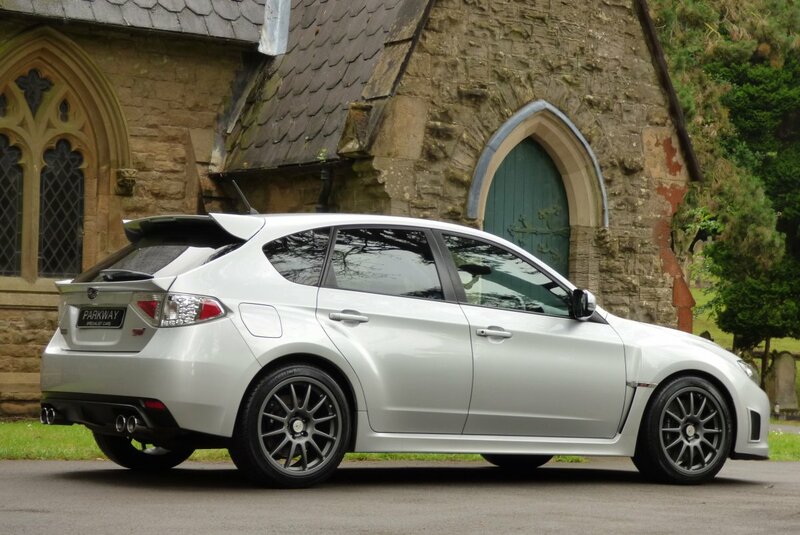 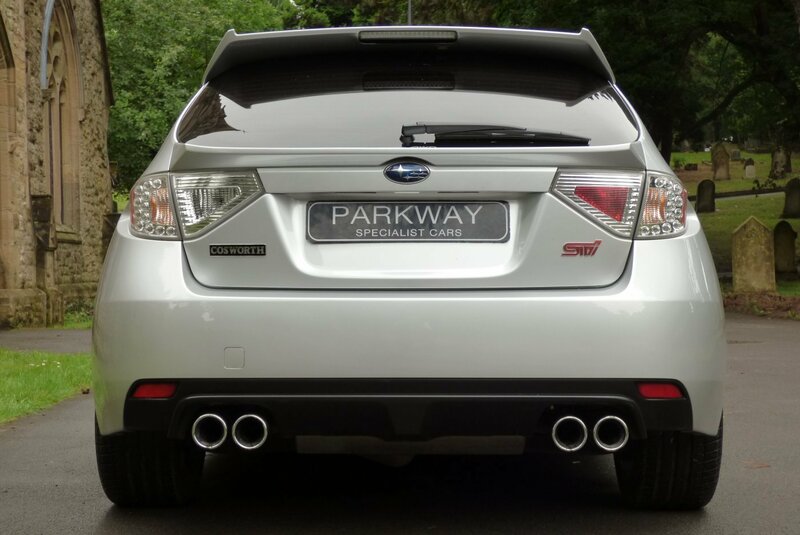 To The Untrained Eye The CS400`s Appearance Is Quite Subtle, But To The Purist Of Petrol Enthusiasts, This Rare Model Is The Ultimate Subaru Beast. 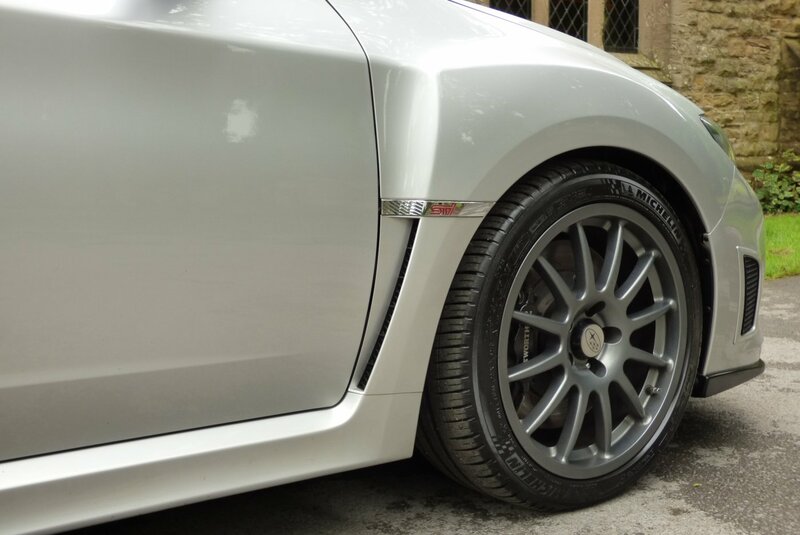 The Body Is Presented In Metallic Silver Which Perfectly Demonstrates The Widen Arch Lines And Distinctive Curves, Which Offer An Aggressive Stance. 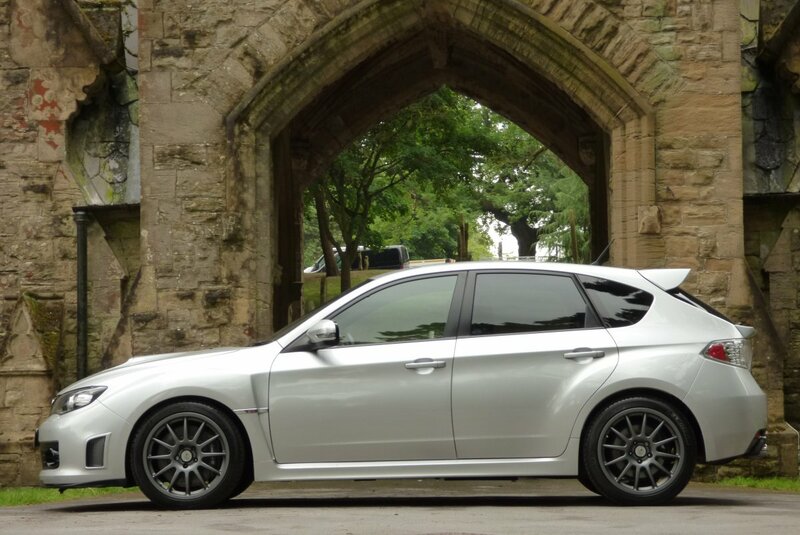 Further Detailing Is Presented In The Form Of Gunmetal Grey 18" Multi Spoke Alloy Wheels, STi Chromed Embellishments, The Blackened Quad Exhaust Tips, The Black Embossed Brake Calipers And The Signature Cosworth Badges To The Front Mesh Grille And Rear Boot Lid. 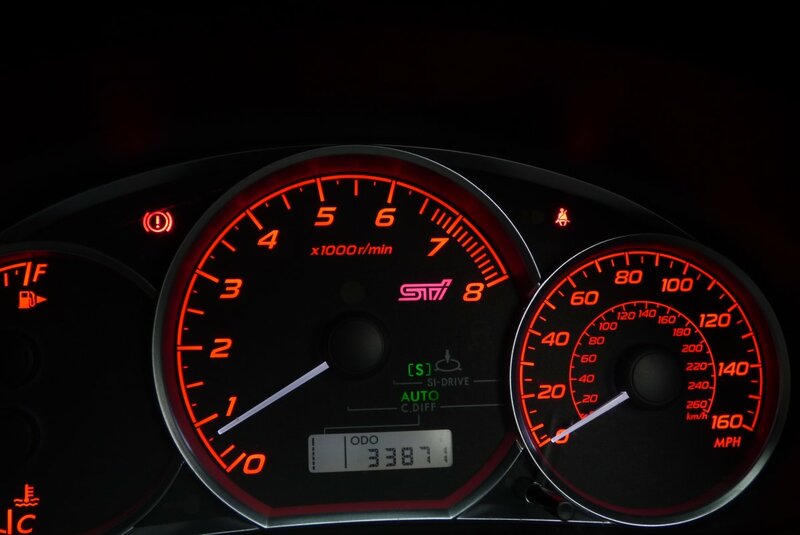 A Creation Of Extreme Power. 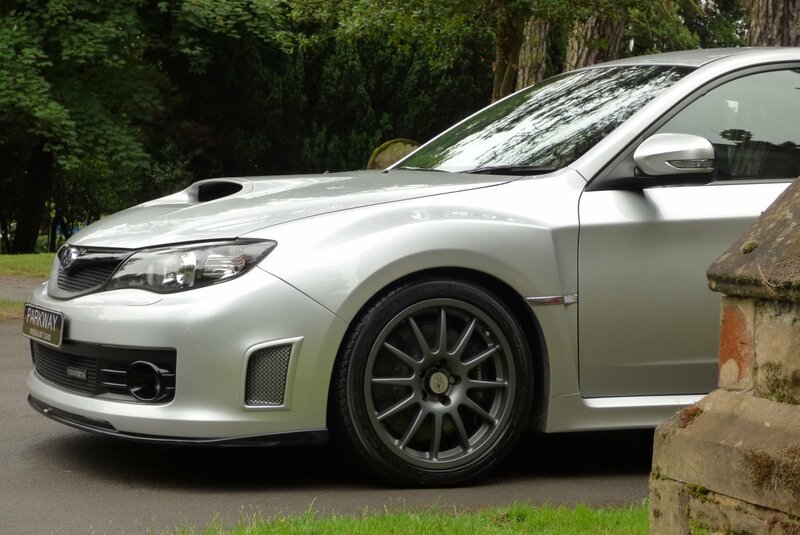 Number 52 Is Completely Factory Standard With The Specification To Include Unmarked 18" Gunmetal Grey Multi Spoke Alloy Wheels Which All Sit On Branded Tyres, Dual Zone Climate Control, Black Leather Bound STi Embossed Multi Functional Steering Wheel, Cruise Control, In Dash Six Disc Multi Changer, Xenon Headlights With Power Wash Function, Blackened Quad Exhaust Tips, Sun Protection Privacy Glass, Remote Central Locking With Alarm, Subaru Si Drive System, Cosworth Embossed Front Mesh Grille, Subaru Steel Pedal Set, Numbered Door Sill Plates, Electric Windows, Electric Folding Mirrors, USB Power Point, Drivers Arm Rest, Factory Immobiliser With The Certificate Of Compliance From Subaru And So Much More. 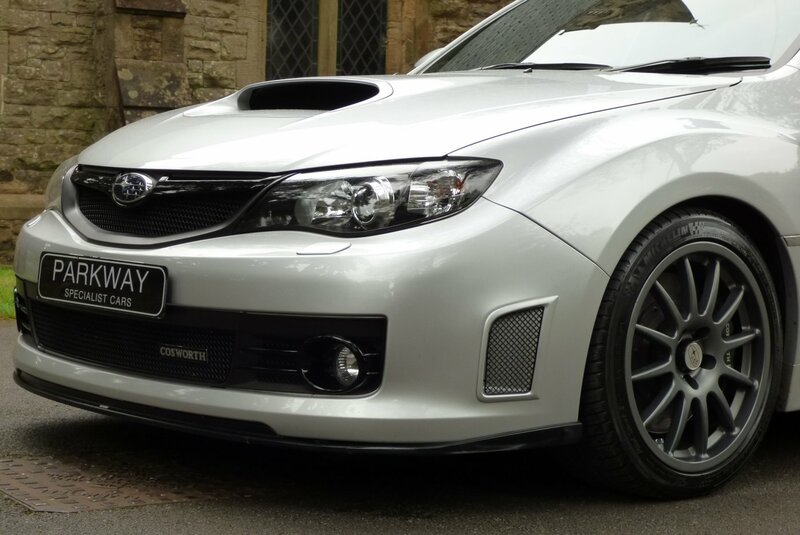 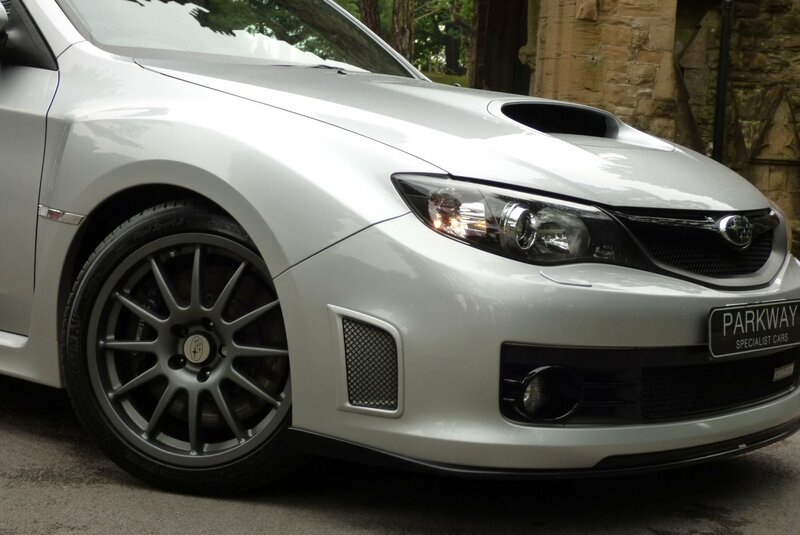 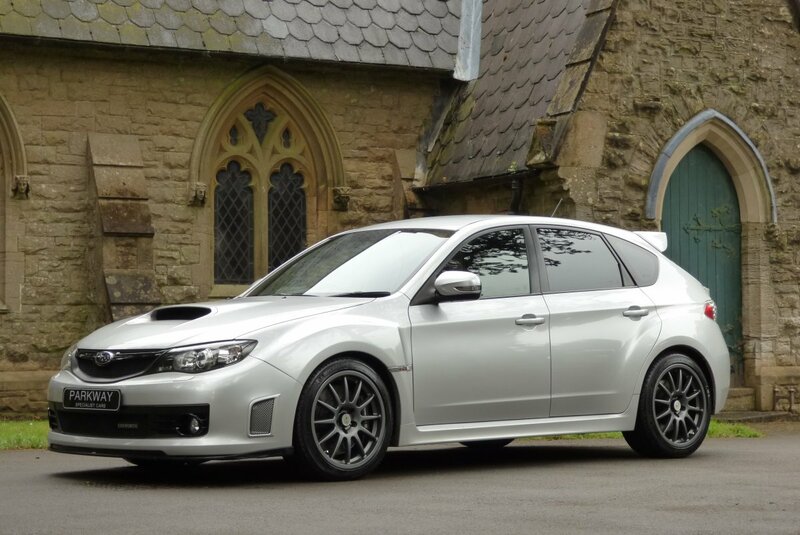 Offered For Sale With An Extensive Past Subaru History File, A Fully Cleared Hpi Report, The Entire Booklet Pask Set And The Full Key Set.